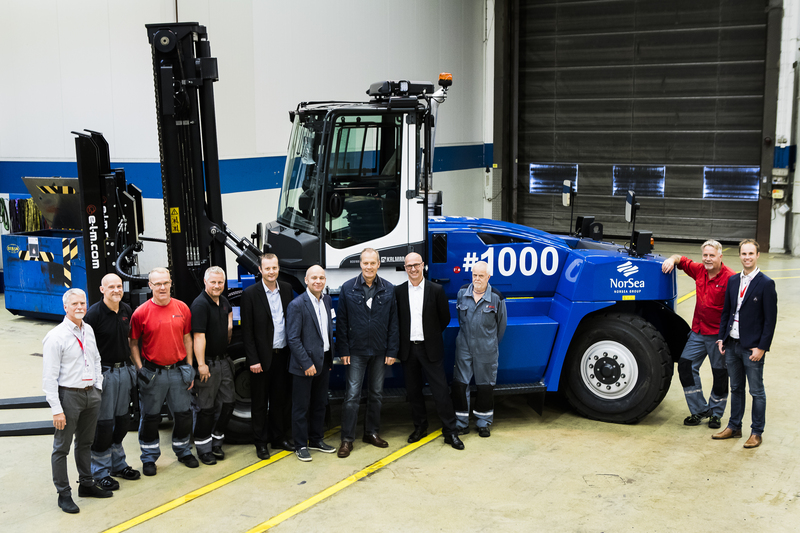 Kalmar, part of Cargotec, celebrates the delivery of its 1,000th Kalmar DCG90-180 forklift. The handover of the specially striped jubilee machine to the customer, Norwegian NorSea A/S, took place on 23 September at Kalmar's factory in Lidhult, Sweden. 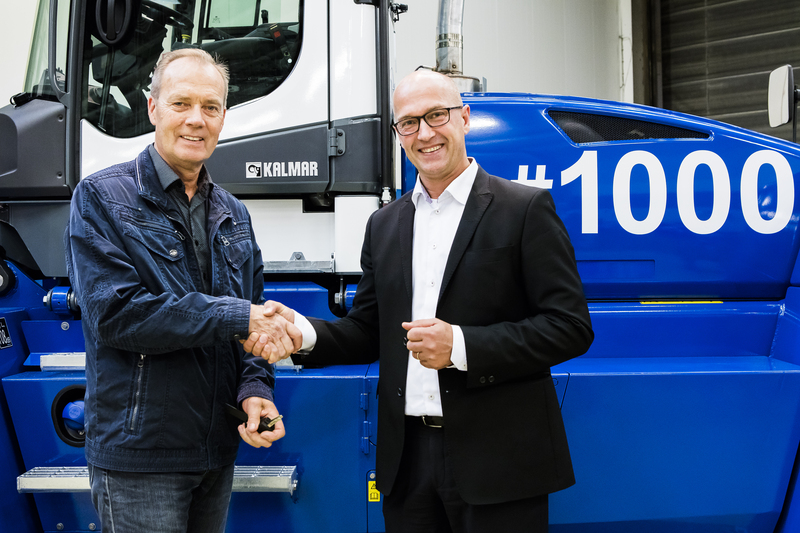 "It is very special for us to deliver the 1,000th Kalmar DCG90-180 forklift to NorSea. Our relation goes back many years, and NorSea has been a loyal customer of both Kalmar forklifts and reachstackers," said Thomas Malmborg, Vice President, Forklift Trucks at Kalmar. The Kalmar DCG90-180 is a mid-range forklift with a lifting capacity of 9 to 18 tonnes. 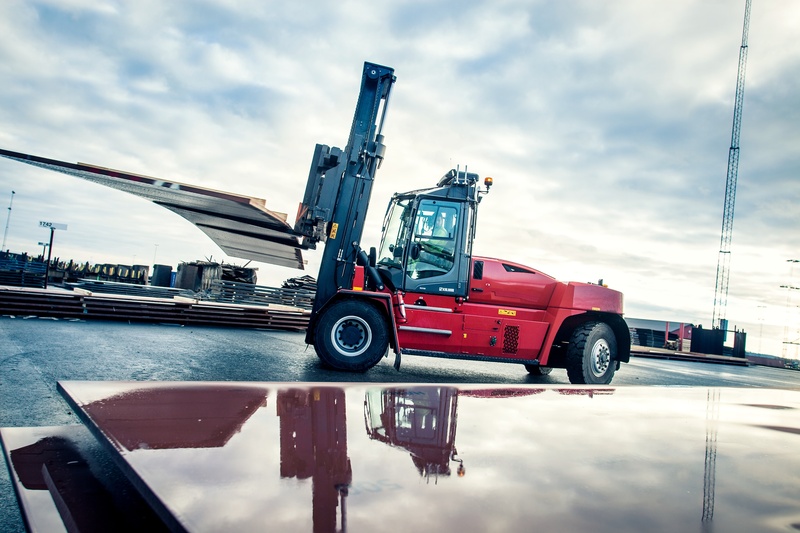 The DCG90-180 carries on a bestselling tradition in what historically is Kalmar's most successful segment, with over 10,000 forklifts sold, including its predecessors. When the Kalmar DCG90-180 was first launched at CeMAT exhibition in 2011, it marked the starting point of the new G-generation of Kalmar forklifts. It came with several important improvements that have since become Kalmar hallmarks, including a new electric system and variable hydraulic system. The machine is widely acknowledged for its versatility, durability and high productivity. Its renowned versatility makes the model suitable for a wide variety of industrial applications. It is used to stack boards in sawmills, handle breakbulk in terminals, move components in steel plants and manage equipment to the oil and gas industry. "Most significantly, it was our first forklift introducing the unique EGO cabin," Malmborg continues. The EGO cabin truly put the operator in the driver's seat. With its excellent 360-degree view, ergonomically designed controls, tiltable steering wheel and rotatable seat, it soon became the preferred choice among health and safety aware customers around the world. As the 1,000th machine is now being delivered to Norwegian NorSea, it closes a circle of successful cooperation between the two companies. NorSea has a large number of Kalmar equipment purchased for use in its operations in the oil and gas industry. Like many forklifts before it, the 1000th unit now delivered comes equipped with a clamp attachment to manage pipes for the oil and gas industry, the main forklift application for NorSea. Besides Lidhult, Sweden, the DCG90-180 is manufactured in Cibolo, Texas, to support Kalmar's US market.